“Tusk”: My, what big teeth you have now! “Tusk” opens Friday at Point, Eastgate and Star Cinemas. R, 1:42, two and a half stars. “Tusk” is basically a horror movie Kevin Smith made on a dare. He came up with the idea on his podcast with his partner Scott Mosier kind of as a joke, and when his legions of fans pushed him, he went ahead and made the movie. It sounds like the worst sort of fan service — Movies Made To Order! — but there are moments in “Tusk” that represent some of the most assured filmmaking the “Clerks” and “Chasing Amy” writer-director has ever done. And when it sticks to that “do it on a dare” spirit, especially in its absolutely bonzo third act, “Tusk” can be a lot of fun. But it takes a while to get to that third act, and that hour leading up to it is like a case study in Smith’s strengths and limitations as a filmmaker. He’s got the knack for writing good dialogue, but doesn’t know when to stop. 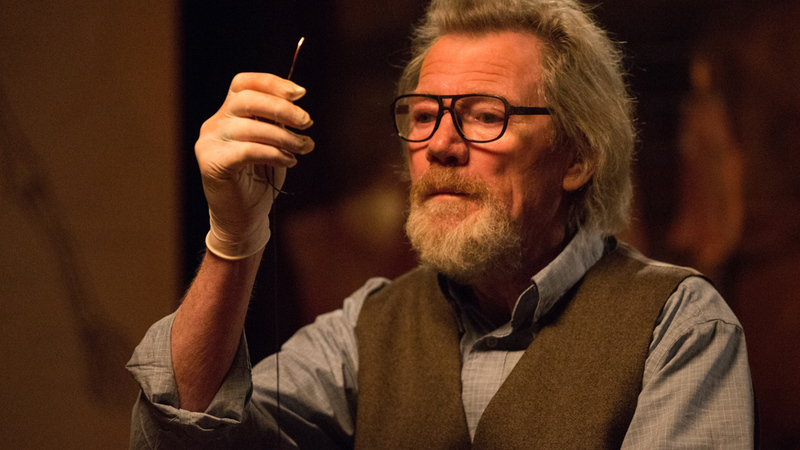 Wallace thinks he’s found a new target when he spies, on a bar bathroom wall, a neatly handwritten letter from one Howard Howe (Michael Parks), an adventurer and raconteur offering free room and board to anyone who wants to hear his stories. 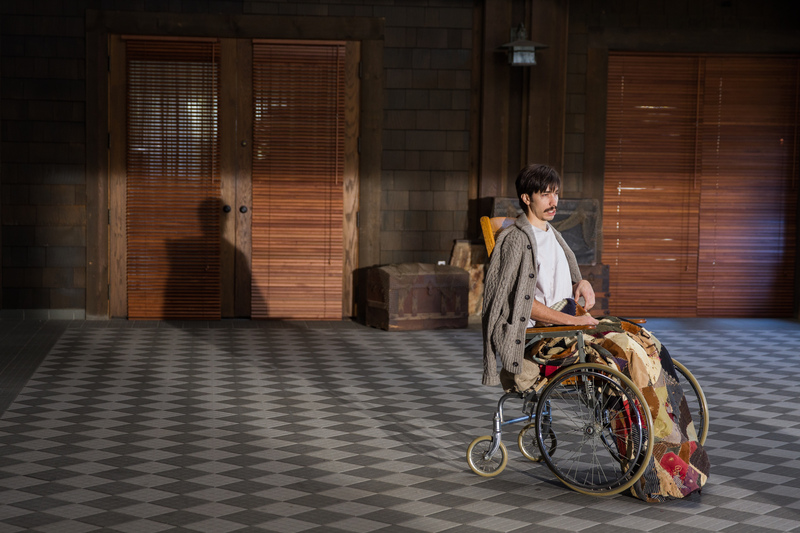 Wallace hops in his rental and heads out to Howe’s remote mansion, where he finds Howe to be a charming, eccentric, and seemingly harmless old man in a motorized wheelchair. Sipping tea, Wallace listens as Howe tells yarns about meeting famous folks like Hemingway, traveling around the world, and, most memorably, being stranded on a tiny island with a friendly walrus Howe nicknamed Mr. Tusk. This is the best scene in the movie, as Smith slowly builds a feeling of dread as Howe’s mellifluous anecdotes wash over the unsuspecting Wallace. and we start to wonder just what is in that tea. Smith has always been something of a rudimentary visual filmmaker, but even the visuals work here, the camera gliding slowly around Howe, the spider in his web, his eyes glinting as he sets a gruesome and bizarre plan for Wallace in motion. Parks, a journeyman character actor who has become a favorite of Smith and Quentin Tarantino, is just magnificent, making the bespectacled, grizzled Howe a figure of both menace and mirth. But the spell is broken when Smith decides to next flash back to an earlier time in Los Angeles to give us backstory into Wallace and his friends. It’s not funny, it’s not interesting, and there are scenes, like a one-take monologue Rodriguez delivers directly into the camera, where we’re just baffled that they’re even part of the film. You’ve got the hero trapped in a house where the villain has a walrus fixation (that unfortunate mustache is about to get really unfortunate), and you want to go back to the studio in Los Angeles? It’s only when Osment and Rodriguez get to Manitoba, hunting for the missing Wallace, that the competing elements of “Tusk” finally fuse together into something weird, funny, gross and occasionally poignant. This third act is also helped immeasurably by the sudden appearance of a Major Hollywood Star doing an uncredited cameo as a Quebecois gumshoe who has been tracking Mr. Howe. Said Major Hollywood Actor seems to be having a ball away from his usual summer blockbusters, and he gives “Tusk” that last afterburner it needs to get across the finish line, barely.